eBay's Autumn 2016 Business Seller News – All Positive Changes? eBay’s Autumn 2016 Business Seller News – All Positive Changes? It’s a sad matter of fact that nearly any experienced eBay seller that you speak to will say that they await news from eBay with a kind of dread – bizarre changes, new rules and random updates… that’s pretty much what we’ve become accustomed to. But last week eBay sent an email out to everyone containing all the business seller news for Autumn 2016, and while I can’t believe I’m saying this, it looks to all be good news! Could it be that for the first time in a while eBay have actually listened to sellers and made our lives a bit easier? Well let’s find out by covering each of the upcoming changes in detail! I wrote a lot about product identifiers when they were first introduced over a year ago and this seller release has revealed a number of changes that will come into effect in February 2017. The two major changes are the inclusion of a number of different product identifiers that you can use, to make it easier and less time consuming, especially if you sell across multiple platforms and also the fact that the Does Not Apply option will no longer be available when creating new listings in certain categories. The reason for this is obvious – eBay want every single listing and product to have a product identifier, like how it is on Amazon. And in my opinion you should be including them now anyway, because of the boost eBay gives you in search, the fact that your product is eligible for reviews etc. etc. Amazon Standard Identification Number – basically if you list on Amazon you can use the same 10 character product code on eBay as well! Google product identifier – again, if you have a Google identifier for your product, you can straight away use that on eBay. Seller generated product identifiers – this is basically a private label identifier created by the seller for their own products. These can be products that you manufacturer or even just resell. And even better news, in my opinion at least – later this year eBay are going to introduce a tool that allows you to get product identifiers in bulk for your entire product catalogue! You’ll simply upload your entire product list/catalogue to eBay who will then give you a complete set of eBay product identifiers (called ePIDs). Sounds perfect, right? Of course we’ll have to see how it works in practice, as like most things I expect some teething problems, but this is a really useful idea when you have a number of your own products that you need to get identifiers for. Before we move on to the next change I do want to point out that product identifiers will only be mandatory in certain categories, though I do strongly suggest that you just use them now regardless. For an up to date list of which categories require identifiers, please head to this page on eBay. Here is some really great news – from early October 2016 Good ‘Til Cancelled Listings will be available to ALL business sellers. That’s right, you no longer need a shop subscription to use GTC listings! This is really big news and means that new sellers and sellers who have a very concentrated product list (one or two items doing big sales) will now be able to use GTC listings and all the benefits they bring (which I’ve discussed in depth on this blog). The reason for this is simple – active content such as this increases loading times and are poorly optimised for mobile use. In fact it was obvious eBay would introduce this rule sooner or later, especially as more and more buyers now use mobile devices to shop on eBay. It’s called the i-ways checker and though the site does look a little bit budget, it’s been developed in collaboration with eBay to analyse the mobile-friendliness of your listings. However all Spicy Auction Templates members can rest easy as SAT templates don’t use ANY active content and so are already full compliant with these new rules. So there’s nothing to worry about there! Yep, the time has finally come to say goodbye to our old friend Turbo Lister, which will no longer be supported from June 2017. Now before you start abusing me via email and the comments, I’m fully aware that Turbo Lister was a buggy mess and is simply too old a technology to work properly – I think eBay has to be one of the only online, technology companies who would offer a tool as old as Turbo Lister is. However I do wish that they were redeveloping Turbo Lister, rather than scrapping it completely. Seller Hub has been trialled on eBay.com and I’m very happy to report that it’s now coming to the UK as well. Listing creation – eBay have promised a new tool which is “optimised for mobile” and easier for us to use. 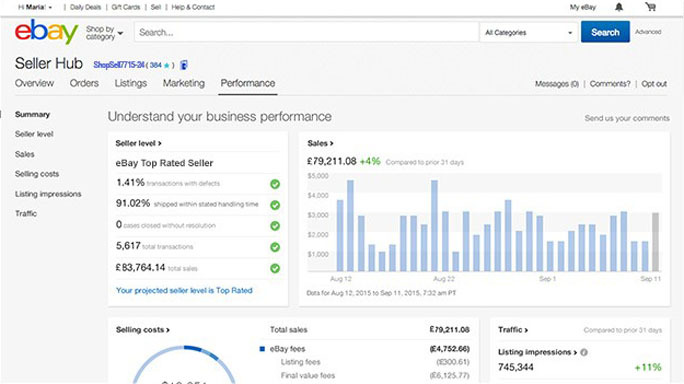 Detailed sales info – in eBay’s own words, you can “learn how buyers find your products, see your daily sales trends and identify your top performers” – good stuff! Marketing – yes, eBay are FINALLY allowing some marketing and promotional tools to be used! This is something I’m very excited about, though it is only for shop subscribers. 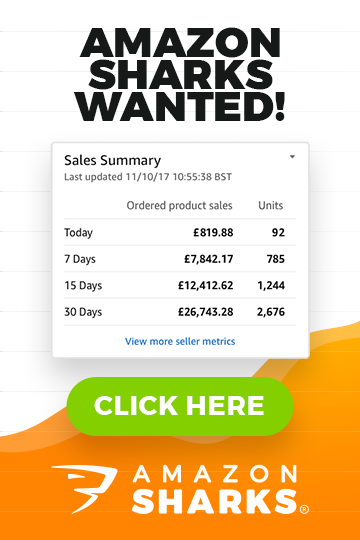 In my opinion the seller hub looks really promising – it loads fast and is easy to use and I love the customisation on the homepage. This is definitely the direction that eBay should be headed with their tools and software and overall integration. But if you’re a bit impatient then I have a little trick for you to use so you can have a play around with it now. Last year eBay introduced their new seller standards and overall I thought the changes were very good, making things more objective and easier for us sellers. But sellers still really suffered if they had a blip and dropped into the dreaded “Below Standard” seller level, as that meant selling limits and restrictions being applied, which then made it even more difficult to recover your ratings and seller standard! I’m very happy to report that eBay are making some BIG improvements in this area, which will come into effect in October 2016. To put it simply, eBay are now going to offer a grace period of 3 months for you to get back on track when you slip below the minimum requirements. So if your status changes to Below Standard, you’ll be given 3 months without any performance based selling limits or selling restrictions being applied to your account. And if that wasn’t enough, if after those 3 months are up and you haven’t managed to recover completely, eBay will still continue to defer these selling restrictions, as long as you’re improving! Thankfully this isn’t left up to a random eBay employee to judge, as they’ve given us a specific definition of improving. Improvement is when “your defect rate or rate of cases closed without seller resolution (or both) is lower than when you entered Below Standard”. Very simple, and actually very fair. But there is one thing I want to point out, this grace period doesn’t apply to other consequences of low seller performance – such as lower search placements and the loss of certain shop privileges. So you will still suffer when Below Standard, only now eBay are giving sellers a fair chance to recover. Also I’m not going to bother talking about what the minimum requirements are or about the seller standards in general, as I’ve already covered that in-depth in a previous blog post, which you can take a look at here: February 20th 2016 – Doomsday on eBay? To keep up with their new emphasis on product identifiers and conforming to industry standards, eBay are going to be updating their product categories on October 4th. Some of this is merely minor name changes but they’re also adding, removing, and moving certain categories. This will tell you if there are any changes to the categories you currently list in. And don’t worry if your category is being removed, that doesn’t mean your listing will too as eBay will automatically move it to the most relevant new category. This particular announcement has been fairly low key but it’s actually something I’m quite excited about. eBay are basically integrating their current buy and print postage feature with a completely reworked delivery service from Shutl. The main idea here is to offer competitively priced courier delivery to sellers who don’t have courier accounts – so it’s perfect for new sellers not doing the required volume to talk directly to the big couriers. Of course we don’t know much at this point, such as what couriers will be on board and what rates will be offered, but you can sign up to the beta to get early access later this year, before it launches fully in the summer of 2017. It goes without saying that I’ll be testing this new feature extensively and doing a dedicated post on it to share my results. Who would have guessed this!? Turbo Lister is gone! I don’t care what people say about that admittedly buggy piece of software, I loved Turbo Lister and wish eBay were creating version 3.0 rather than scrapping it completely. No news on YouTube support despite the fact that eBay promised us an update on video integration by Autumn. No improvements to reviews. I still strongly believe that reviews should be based on LISTINGS and not product identifiers! But the good news is that people are starting to leave reviews now and this will add a lot of value to buyers and therefore sellers. Plus with eBay’s positive changes and more collaborative approach, I’m hopeful we’re going to see some further improvements in the months to come! Overall this is an exciting time for eBay sellers – we’re actually getting support instead of having the rugged pulled from under our legs with a random update that makes no sense to anyone. 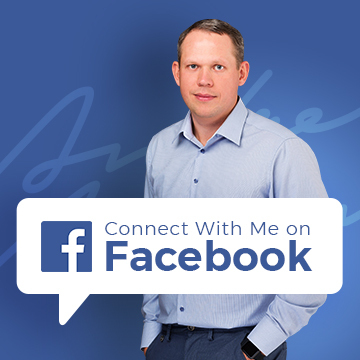 As always, I’d love to hear your thoughts and comments so please feel free to post in the comments section below and I’ll personally get back to you within 24 hours, Monday to Friday. I have had a look at barcode sellers here in Australia and the prices that I am seeing are around $50 each , is that around the normal price ? I am sure that you said before it works cheaper than this going the GS1 way ? I know that Ebay are going to be supplying them too. Not sure which way to go inlight of the $50 cost. Can you suggest where to get them from in Oz ? Also, I would prefer not to have to amend my listings to swap these codes down the track as I am sure that I can remember something about changing a listing could result in it going down in search results ? $50 sounds a lot to me. In UK we can buy these codes from re-sellers for around £1, when bought in bulk (20+ codes). I don’t think you are restricted to AUS sources for these, I think you can buy from UK/USA these codes and they should work just fine. Or just wait until eBay rolls out the new feature later in October where you can simply generate your own codes. Thanks Andrew ok, I think I might wait. Do you think it would affect my listing though if I went in and added them after the listings were up and running ? Just wondering whether there is any benefit from getting your own EAN codes from GS1 compared to getting them from Ebay ? I am thinking I would need them before Ebay start doing this anyway. Would it make sense just to get a few EAN codes using a cheaper company not the GS1 and then replacing them when Ebay start doing them ? or just forgetting Ebay are going to start doing this and just going to GS1 now and carrying on with this ? No, there’s no real difference that would affect your eBay sales. So I would recommend just buying codes from re-seller for now and when eBay starts offering their own, just switch to them for new listings. Is there a quick way to gather all the barcodes? My supplier does not supply these so I would have to manually gather these myself. It is not ideal since I sell a lot of clothing each size and colour has its own variation. I don’t think there’s an easy/quick/automated way to find EAN codes for items like this, in bulk. If you have those items on hand, use a barcode scanner to quickly read and enter codes where you need them to be.